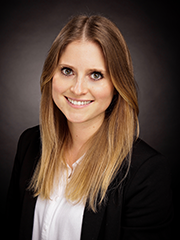 Sie sind hier:UHH > Fakultät BWL > Professur für Marketing & Branding > Team > Carolin Haiduk, M. Sc. Johnen, M., & C. Haiduk (2018). Will You Stand By Me? – Analyzing The Effectiveness Of Brand Anthropomorphism In The Context Of Consumer Complaints In Social Media. Proceedings of the 47th Annual Conference of the European Marketing Academy, Glasgow (Scottland), [no pagination].